There would be few, who do not know of Laurie Lawrence or his spirited personality, his sense of humour or his zest for life. For those who know him well there would be no disputing that his manner is direct, sincere and honest. Whatever Laurie is involved in, he gives all of himself. He cares deeply about the people he influences and he refuses to rest until he has achieved his best. Laurie has been claimed as one of Australia’s favourite sons, and is admired by many Australians, from little children who attend his coaching clinics to international corporate leaders who look to him for inspiration and new ideas. Swim coaching has played an important part in Laurie’s life. He was able to balance his time around the pool with his studies, which resulted in Laurie achieving a Bachelor of Arts Degree from North Queensland’s James Cook University, a Teaching Diploma in Physical Education from the University of Queensland, and a Teaching Diploma from Kelvin Grove College of Advanced Education. 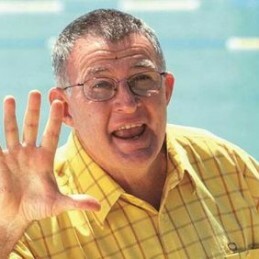 Laurie Lawrence has represented Australia in World Championships and Commonwealth and Olympic Games as a coach. During his distinguished career, Laurie has been honoured with many awards. In 1988 he was voted All Sports National Coach of the Year in the Sports Australia Awards conducted by the prestigious Confederation of Australian Sports. Australia Day 1989 saw Laurie presented with an Australian Achievers Award to honour his selection by the National Australia Day Council as an Australian of the Year finalist. The business world and the competitive sports arena make similar demands for high individual achievement, which explains why Laurie today is one of the most sought-after motivational speakers in Australia. To many, Laurie Lawrence represents the beloved Aussie larrikin who loves an audience and a stage, but this is only a tiny glimpse of the man. He sets his goals and encourages those within his influence to work towards personal perfection. He is a true Australian in heart, mind and soul.